Mouseover the picture to identify the buildings! Design of the church was entrusted to Sir Walter Tapper a renowned ecclesiastical architect. 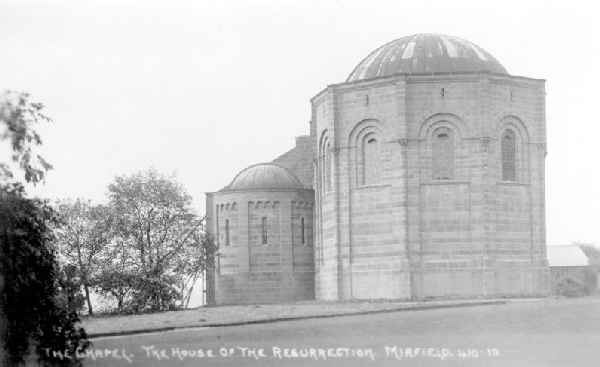 The new church was to be built of red Runcorn sandstone in a Gothic Revival style, In 1912 the first section of the church "The Chapel of the Resurrection" with it's copper barrel roof was completed and the first Eucharist was celebrated there on September 12th 1912. Unfortunately after that section of the church was completed things did not go to plan. Funds for such an ambitious project had run short and finalising the design details with this in mind was proving problematic. 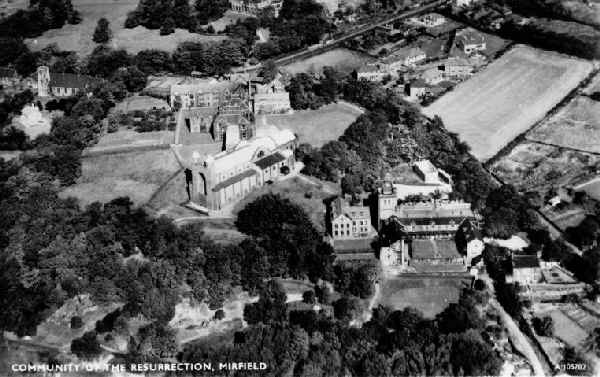 However this was all soon to be overtaken by world events when, with the outbreak of the Great War in 1914, all building work stopped and for the next twenty years the church was to remain in this uncompleted form. Chapel of the Resurrection before the rest of the church was completed. 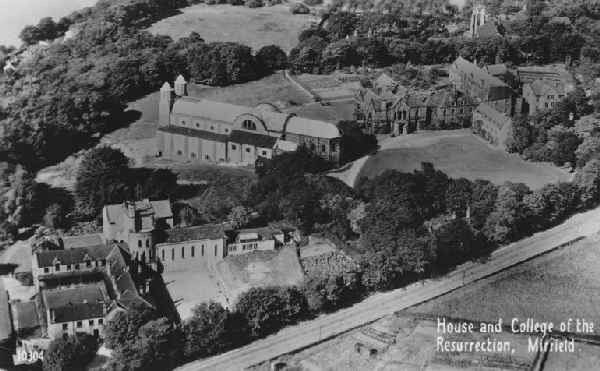 In 1935 the decision was made to resume building the church. Sir Walter Tapper had died earlier that year so Tapper's son Michael was commissioned to complete the church. Although some funds were now available this was at the time of the great depression and there were still concerns over finances. In light of this the final design by Tapper junior was to be scaled back and simplified somewhat from what his father had originally envisaged. The completed Community Church even in it's revised form is still a very impressive building. 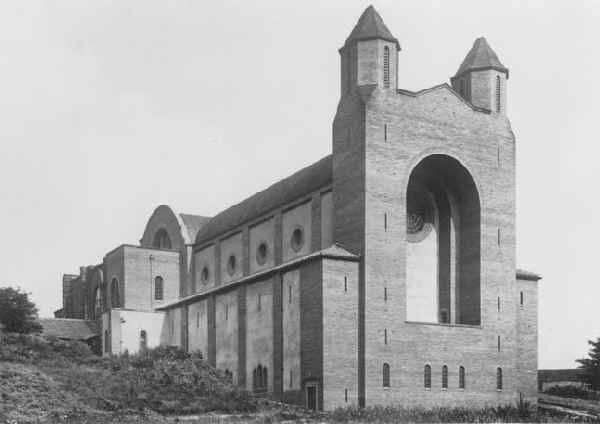 Finally, in 1938, twenty seven years after building had started the church was completed. The interior was largely finished in white plaster with very few adornments, the original plans had been far greater but the end results were still impressive. Bishop Gore had died in 1932 and his ashes were buried in the Community Church. 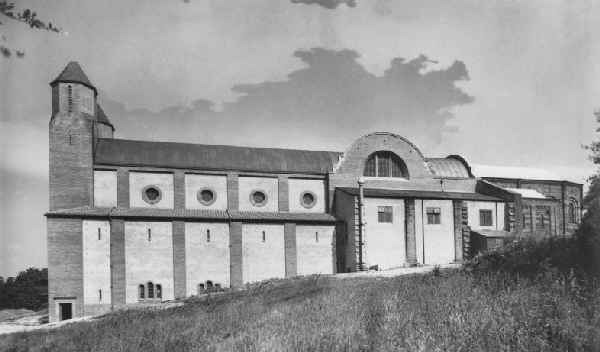 The Church was finally completed in 1938 after the death of Walter Tapper the completion being overseen by his son Michael.